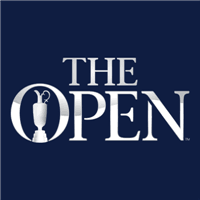 The Open Championship is taking place at Carnoustie Championship Course in Scotland this coming weekend. The top golfers in the world will be battling it out for the third major of the season. The course looks like an interesting test of golf. The fairways are baked out which is allowing balls to run for ages and should really shorten the course in spots, while also bringing in the danger of rolling out into the rough or the various hazards. The top players in the world are all playing some great golf right now, so it’s really anyone’s tournament to win. Dustin Johnson, the #1 ranked player in the world, is the favourite, but there are plenty of players with odds of 100/1 or better with legitimate chances to win. To see the up to date odds head to Bet365.com, select ‘Golf’ from the left sidebar in the ‘Sports’ section and select ‘To Win Outright’ under ‘The Open Championship’. Bet365.com is also paying out each-way bets at 1/5 the value of the outright betting line for a top 8 finish. I’m going with two of the favourites from a betting perspective. **These odds can change leading up to and throughout the tournament. DJ is the rightful favourite. He’s the #1 player in the world and he’s having a great season. He just needs to add a major win and he will be having a season to remember. DJ finished 3rd at the US Open after falling back to the ridiculous course conditions in round 3 after a great first two days. Before that tournament DJ won the St. Jude Classic and he’s finished top 20 in all 12 tournaments he’s played this season. DJ can figure out any type of course and I expect him to be in the hunt on Sunday at Carnoustie. He will be able to take advantage of his length and I expect him to sink a lot of putts on these fairly flat and slow greens. This could be the time for Rickie. He’s playing some great golf having finished top 20 in 6 straight tournaments since The Players. He finished 6th at the Scottish Open last week and the conditions seem to be very similar from Gullane Golf Club to Carnoustie. Rickie is a terrific wind player, so if the winds do begin to blow this week I think it will help his chances. Rickie has the ability to go low at Carnoustie and I think if he can avoid the hazards he has a great chance to drain some putts and possibly even run away from this field to secure his first major. Check out all of the odds at Bet365.com.